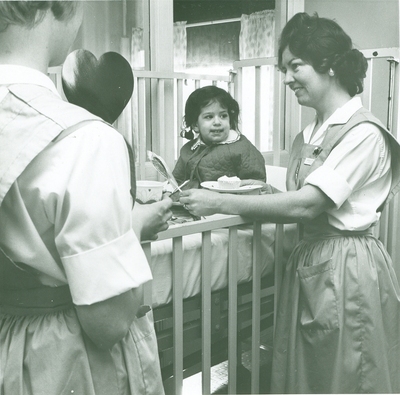 Do you know who these nurses and child are? What is happening in this picture? What is their location?